I never get nervous during a photoshoot..really, never !. Before a shoot, yes, I can quite often be found pacing up and down outside, visualizing the person, the mood, running down a myriad of details in my head, but during ?..no. Much of that is probably down to having spent 25 years in sales around the world and realizing early on that everyone you meet regardless of situation is simply another human being, with similar foibles, insecurities and worries as anyone else - these have included captains of industry, Officers with 3 and 4 stars on their collar, even a royal or two. Photographing this guy ?. I was shaking like a leaf. Why ?..because he is a bloody good photographer, ok, that's a bit of an understatement, like saying that Vesuvius was a firecracker, in his genre he is one of the best in the world. 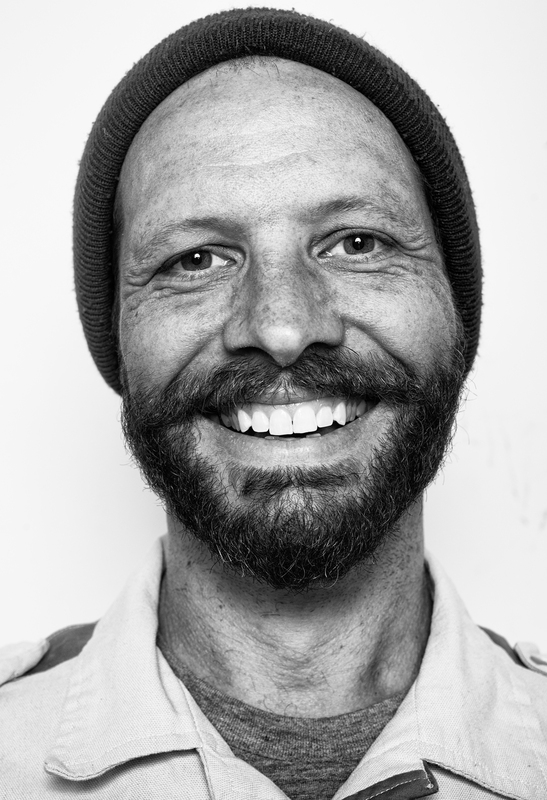 This is Mathew DeLorme, globetrotter and official photographer for the Trek Bicycles Mountain Bike teams - have a look at his website, it is simply incredible work, not just the cycling but the adventure photography in his "Lifestyle" section, you can feel and taste the air in those pictures. I ran into him yesterday at Gravel & Grind's pop up shop at Area 31, having admired his work from afar, somehow we had never managed to meet despite living in the same town. A super nice guy, with some great stories about some of the crazier cyclists he has worked with. The three shots I picked perfectly illustrate why I am doing this project, a connection with another person, and the reason for me picking a camera up every day. As for that whole shaking thing ?...I will forever deny that it was nerves and put it down to Gravel & Grind's espresso !! !